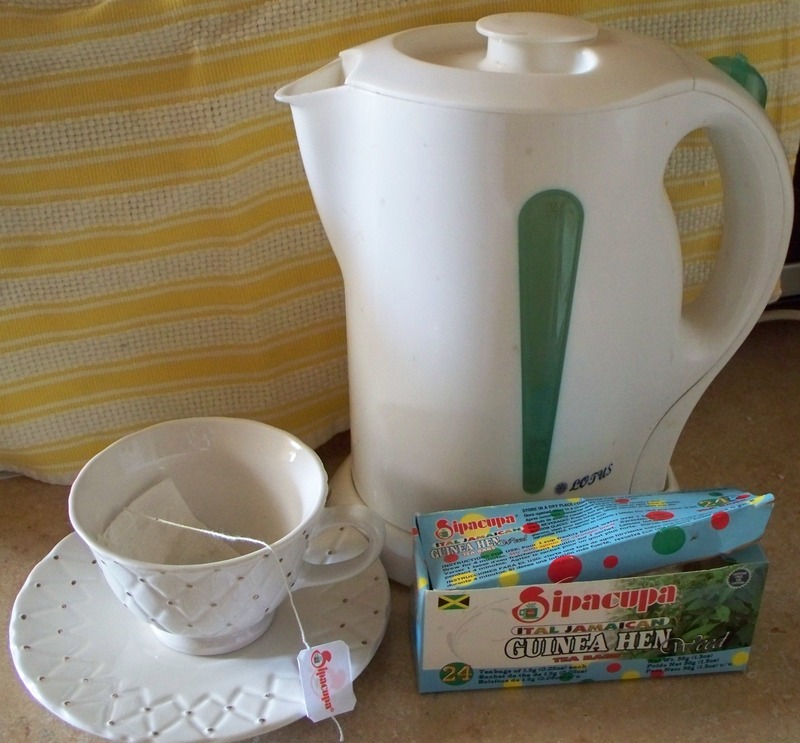 From as far back as 2011, I remember reading an informative article (@ http://jamaica-gleaner.com/gleaner/20111018/news/news4.html) in our newspaper about the Guinea Hen weed (Petiveria alliacea) or Anamu; we are not strangers to this tea. 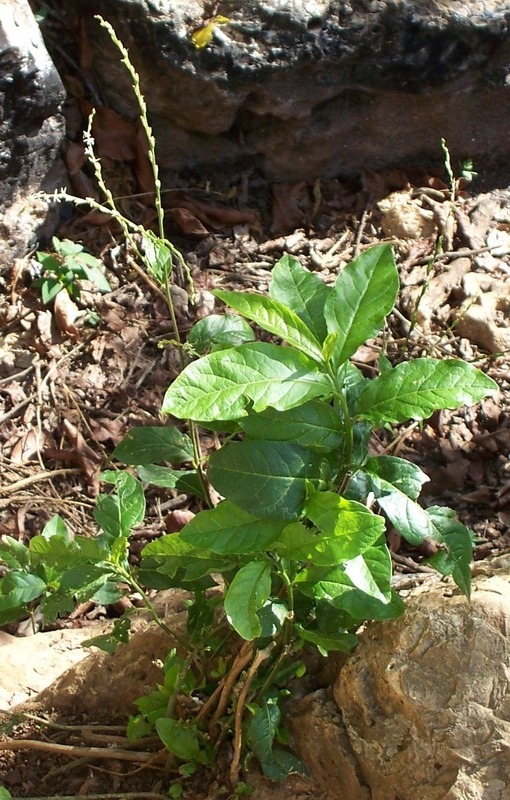 The author, Dr. Tony Vendryes, stated that he was introduced to Anamu by a Jamaican oncologist who had seen good results in some of her patients that used this herb. He too had also heard impressive stories from Jamaican men with prostate cancer who had benefited from its use. After doing his own research, Dr. Vendryes now uses Anamu regularly in his practice and finds it to be a useful, safe, inexpensive addition to a cancer-treatment programme, as well as in the treatment of other medical conditions. When I read his article, I desperately wanted this herb to plant in our garden; but to my joy and delight – this very same Guinea Hen weed grows wildly in our hillside and around our home. The Guinea Hen weed is also known as mucura and gully root. It is sometimes referred to as the Garlic Guinea Hen weed because of its strong garlic-like odour. All parts of this herb – the leaves, stems, flowers and root are used for various remedies; and the plant is known for its therapeutic, anti-inflammatory and anti-cancerous properties. It is also antimicrobial and immunostimulant, and displays antibacterial and antioxidant traits. The sulfur content of the herb is able to contain brain cancer cells. The Guinea Hen weed is used in teas, extracts and capsules for treating many types of cancers (read more), curing arthritis, sinusitis, skin afflictions, and the flu. It is known to support the immune system by preventing re-occurrences of cancer as well as strengthening and protecting the body during recovery. I understand that this herb is used to reduce inflammation, fevers, headaches, and pain; it promotes detoxification by helping the body to purge harmful organisms and increasing urination. 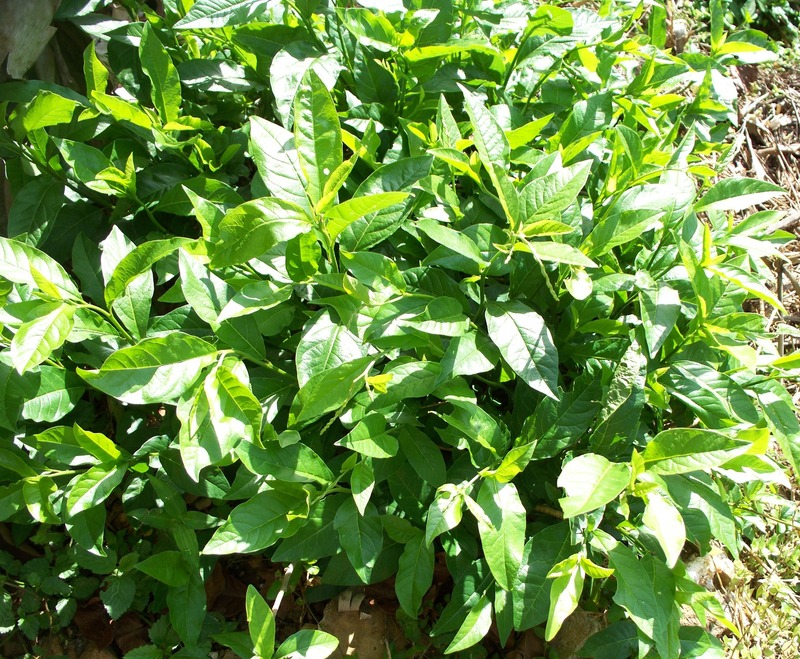 The Guinea Hen weed is also a menstrual promoter, sweat promoter, and is known to reduce anxiety and calm the nerves. I read that the Guinea Hen weed is used for eliminating bacteria, fungi, candida, and viruses. It is also used for edema, malaria, rheumatism and poor memory. 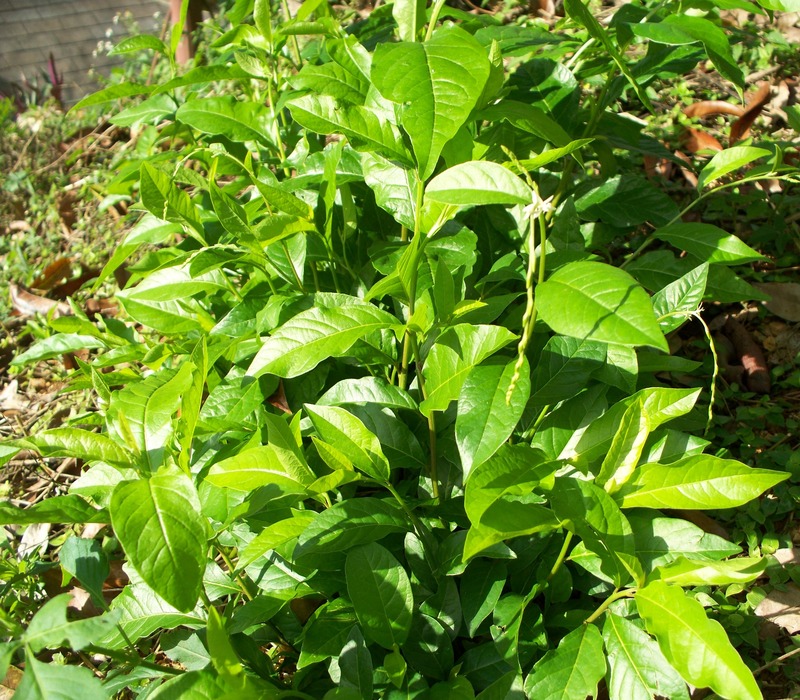 Warnings: I understand that you should NOT take Guinea Hen weed if you’re pregnant or trying to become pregnant since it may stimulate uterine contractions which can lead to abortion. The Guinea Hen weed is also known to have blood thinning effect and should not be taken by persons who have blood disorders. Plant extracts have been shown to inhibit mitosis, and they also reduce blood sugar. * Make sure you talk to your healthcare provider before taking the herb or any supplement that lists it as an ingredient.